•Recommended for over 3’4” width doors and having a thickness of 2” or more. 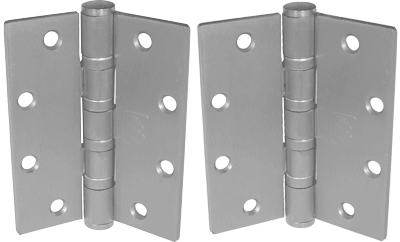 •Ball bearing hinges must be used on doors in conjunction with door closers and on all fire rated openings. 5.00 ± .015 for 5” x 5"